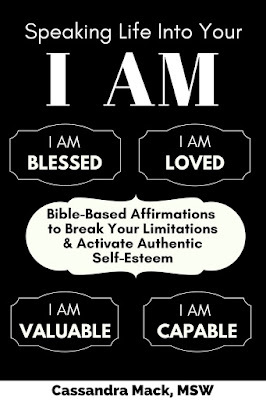 This book will help you understand who you are in God. Speaking Life Into Your I Am, provides you with bible-based affirmations that you can read over and over again and say as often as you need to; so that you can release the power of God’s word into your thought life and inscribe it in your heart. Use this book to speak life into yourself and to positively affirm your identity as one who was created in the image and likeness of God. As you allow GOD to sit with you in prayer and recharge your spirit with His life-affirming Word, trust and believe that your life will be transformed. Let this book serve as reminder of how awesome You already are and what an awesome God you serve.